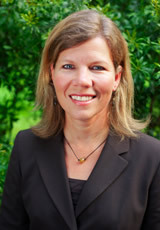 Dr. Jill Kimbrough provides psychiatric services at Wellspring Christian Clinic. After graduating from Auburn University, she attended the University Of Alabama School Of Medicine and continued at UAB in the Department of Psychiatry and Behavioral Neurobiology where she served as chief resident. She is certified by the American Board of Psychiatry and Neurology and is committed to providing excellent care in the area of general adult psychiatry. Dr. Kimbrough has been a resident of Birmingham for most of her life. She is a wife and mother of three children and a Sunday school teacher in her church. She seeks to serve and honor God in all things.